מי באמת חשף את ג'יי. קיי. רולינג? אחרי הרבה סיפורים, שמועות והשערות התגלה כיצד נחשף הסופר "רוברט גלברייט" שהתגלה כסופרת ג'יי. קיי. רולינג. 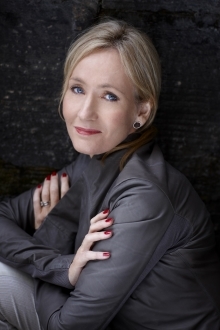 London law firm Russells Solicitors has apologised "unreservedly" for leaking J K Rowling's identity as the writer Robert Galbraith, while the writer herself has said she is "very angry" that her trust in the firm was misplaced. In a statement the firm said: "We, Russells Solicitors, apologise unreservedly for the disclosure caused by one of our partners, Chris Gossage, in revealing to his wife’s best friend, Judith Callegari, during a private conversation that the true identity of Robert Galbraith was in fact J K Rowling. "Whilst accepting his own culpability, the disclosure was made in confidence to someone he trusted implicitly. On becoming aware of the circumstances, we immediately notified JK Rowling’s agent. We can confirm that this leak was not part of any marketing plan and that neither J K Rowling, her agent nor publishers were in any way involved." Callegari tweeted as @judecallegari to writer India Knight, alerting her to Galbraith's identity. The tweets were later deleted. J K Rowling said in a statement: "I have today discovered how the leak about Robert's true identity occurred. A tiny number of people knew my pseudonym and it has not been pleasant to wonder for days how a woman whom I had never heard of prior to Sunday night could have found out something that many of my oldest friends did not know. "To say that I am disappointed is an understatement. I had assumed that I could expect total confidentiality from Russells, a reputable professional firm and I feel very angry that my trust turned out to be misplaced." The author, her agent Neil Blair, and publisher Little, Brown have repeatedly denied they were behind the revelation or that it was any kind of marketing stunt.